We have ensured that our transport not only meets all the safety requirements, but goes beyond that to make it more comfortable. 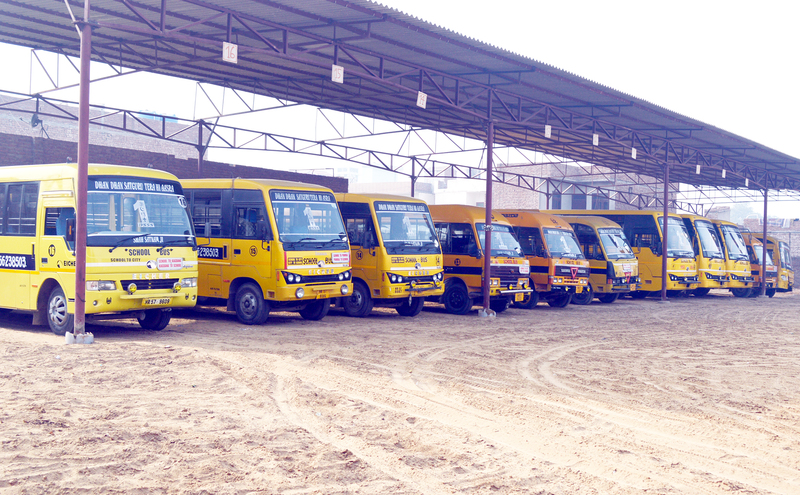 Giving utmost importance to the convenience and security of the students, Shah Satnam Ji Boys School facilitates well maintained and safe bus transport at moderate tariff ,employed with well disciplined care-takers, ply all over the town and neighboring villages to & from the campus. These buses are designed with reclining seats, anti-skid floors, door alarms, and padding on seats, pneumatic doors, handles, bright yellow paint and emergency windows to reduce the risk of injury.